Montréal, Canada – In the city where avant-garde style shines and creativity confidently rules, the Montréal Fashion & Design Festival (MFDF) steps squarely into the spotlight with a sparkling 12th edition set to mesmerize the masses lining McGill College Avenue from August 1st to 4th, 2012. This year’s festival continues to celebrate the phenomenal pool of leading-edge talent that defines Canadian creativity through hundreds of fantastic fashion concepts, amped-up live music performances and a deluge of design interpretations . 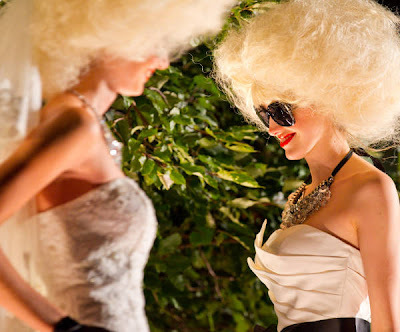 Prepare for sensory overload as more than 50 fashion designers and over 65 national and international fashion brands thrill fashion-lovers from all over. The Festival will also allow you to zero-in on local labels and designers well identified by the Mode MTL heart. At special events such as Dressing Room, Nation F & D, Podium, and Bollywood presented nightly at 10, fashion, design, dance and music come together, much to the the delight of audiences. Step inside the designers’ minds and view their world from a whole new angle with the delightfully inspiring INBOX DESIGN. Stand witness to Montreal’s urban-themed sit-in as six unique artists reinterpret five of our city’s public benches in the inaugural “On Public Benches” exhibition. And that’s only scratching the shimmering surface of the thrill-a-minute schedule of the largest and most unique event of its kind in North America! The MFDF is where Canada’s most exciting and edgy fashion and design conceptualists come together to break out of the box and bend the trends with four days and nights of scintillating sights, sounds, and sense-tingling spectacles spread out in true Montreal style for an audience of over 550,000 to enjoy. 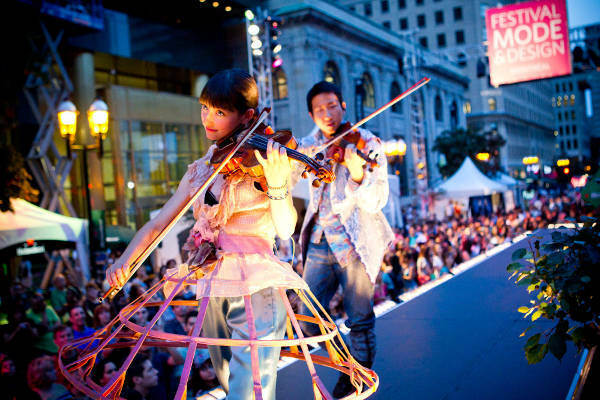 From the most inspiring leading-edge fashions to the most daring designs, the festival delivers more than a mile of style as it stretches from Maisonneuve Boulevard all the way to Place Ville Marie. Under the theme "dressing room", we will experience the craft of internationally acclaimed choreographer Noémie Lafrance (known, most notably, for her work with singer Feist), reflected in a striking blend of dance and fashion. 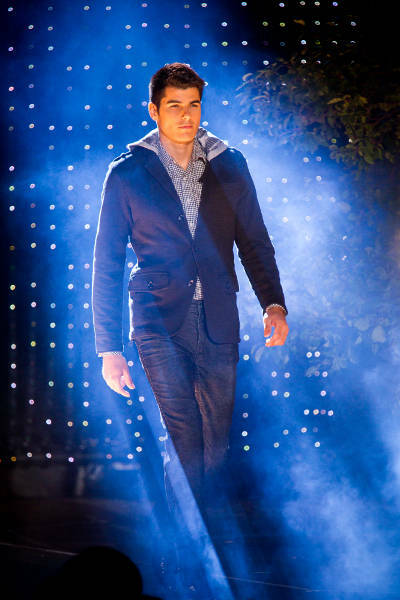 A production of Sensation Mode, styled by YSO and music by Christian Pronovost. Stop by for Festival happy hours where celebrities will be taking part in the “Highlights of Montreal Fashion Week” event. The walls come down on what is normally an invitation-only event as 23 of our best-known designers show their finest creations from the latest Fashion Week. Presented on an open-air stage for all festivalgoers to enjoy, their fashions will be worn by some of the city’s most beloved celebrities: Geneviève Borne, Florence K, Fransisco Randez, Azamit, Anne-Marie Cadieux, Anais Favron, Catherine Pogonat, Virginie Coossa, Mistress Barbara, India Desjardins, Bénédicte Decary, Mara Tremblay, Isabelle Blais, Noémie Yelle, Denis Gagnon, Annie Dufresne, Mélissa Desormeaux Poulin, Dylane Hetu, Jacynthe Renée, Caroline Dhavernas and Ariane-Li Simard Côté, Alexandra Diaz. Among the designers showing selected items from the last Montreal Fashion Week event we note: Abol, Aime By W, Alexandre Arsenault, Anastasia Lomonova, Annie 50, Betina Lou, Ca va de soi, Cin Tailleurs, Dinh Bà Design, DUY, Ève Gravel, Kollontai, LLUI, LYN, Marie Saint Pierre, Martin Lim, Maude Nibelungen, Mélissa Nepton , Rud styled by Rudsak, Second Yoga Jeans, Samuel Dong, UNTLLD and White Label. At the end of the show, Clin d’oeil will unveil the grand winner of the Become a Clin d’oeil Professional Model contest. F & D Nation is a show of contrasts in which we invent a world where fashion and design come together. Against an impressive soundtrack, through seven unique worlds where textures, materials, colours and geometric shapes come together, you will be left speechless by the intensity of this experience where we pushed the limits of creativity. A production of Sensation Mode, original idea and direction by Gabriel Poirier-Galarneau, styled by Jenn Finkelstein and music by FunkyFalz. With the popularity of physical culture that lives through the collections, this show of fashion and music will certainly impress you. With input from the cheerleaders of the University of Montreal’s Carabins, basketball competes with high heels, inspiring you with sporty-chic looks for fall. Sporty’s in! A production of Sensation Mode, styled by Mélanie Brisson and music by Girl. Delightfully kitsch, glamour and opulent, Bollywood is the theme for the Festival’s closing show. In an atmosphere inspired by the magic of Indian cinema, the Festival pays homage to its extravagant fabrics. Music, dance and performances inspired by Mumbai’s greatest celebrations! A production of Sensation Mode, styled by Sophie Lanza, music by Christian Pronovost and choreography by Bollywood Blast. On Saturday: Quicksilver, Boutiqueonze.ca, Attitude by Jay Manuel, Le Château, GUESS/GUESS by Marciano. Spokesperson Lolitta Dandoy can’t think of a better way to launch the 12th edition of the festival than by kicking up our heels for a worthy cause at the Glamour Stiletto Run fundraising event! Presented by Bota Bota, the MFDF’s second annual high-heel race will see participants from all walks don their pumps and peep-toes in support of the Canadian Cancer Society. For a $50 donation, teams of two can register to teeter and tiptoe their way down Montréal’s avenue of fashion in a hilarious high-heeled relay race, held on August 1st, the festival’s opening day. With the expertise of Sylvie Bercowicz, the curator of the INBOX DESIGN, the MFDF puts Canadian nature in boxes. Inside containers transformed into exhibition areas, we invite you to a journey into the Canadian forest. Through design objects staged by artistic director Lacy Barry, experience a northern location. Each of the containers participating in the INBOX DESIGN facet evokes a typical theme: the forest, snow, river, wind, hunting and the cottage. Six containers, six atmospheres, six trips... in the heart of downtown Montréal. Antoine Laverdière, Bipède, BRUT Design, Ceramik b, Kastella, Mikaël Charpin (Agence Monde Ruelle), Les Archivistes (Agence Monde Ruelle), Stéphanie Lévesque (Agence Monde Ruelle), Stéphanie Beaudoin (Agence Monde Ruelle) Véronique Lamarre (Agence Monde Ruelle), Tat Chao (Agence Monde Ruelle), Pascale Girardin, TOMA Objects and Six Point Un invite you to the opening of their exhibition at 8 p.m., August 1st, 2012 on McGill College Avenue. Montréal’s sit-in shows off the talent of our local designers as it affects the daily life of locals and tourists, by improving the urban landscape. Valentin Hay and Philippe Cossette, Duc C. Nguyen, Michael Bishop, Bruno Houseaux and Laurence Pilon are among the Montréal designers and artists who will be offer their interpretations of 5 public benches, all on display on the festival site. Crowds have long come to the festival for their summer fix of ear candy! Once again this year, inspired creativity moves to the rhythm of the hottest DJs and music groups who’ll be blasting out the beats throughout the festival site. Listen for: Apéro-Fashion-Musique with Virginie Coossa, Philippe Fehmiu, Catherine Pogonat, Florence K and, during Rock’n’Couture, listen to Kaytradamus, Jef Barbara, Middnight Romeo and Chinatown. Also on site, bands like GIRL, Jolie Jumper, Tops, and Grenadine as well as DJs like Alix, A-ROCK, Millimétrik and Shaydakiss. RALLYE SHOPPING POPS WITH SHOPS! by the National Bank Allure MasterCard in collaboration with LOULOU Magazine. New this year: download the beSleek app for fashion tips from beSleek’s team of stylists. In the wake of last year’s record crowd of 45,000, Rallye organizers have raised the bar higher than ever for this fourth edition. More than 65 leading retailers and designers will be rolling out the red carpet along the pedestrian-only street as of 5 p.m., welcoming die-hard shoppers with due pomp and circumstance. Participants will flit from store to store, scooping up the latest finds and enjoying the VIP treatment dispensed by participating merchants against a backdrop of the latest music spun by live DJs. New this year: vintage buses from the STM (Société de Transport de Montréal) will be on site serving as pop-up shops during the Rallye Shopping. Inside the buses, fashionistas can get their hands on exclusive pieces, straight from the collections of their favorite designers! The Pop-up Boutique, exclusive to the Festival! The Pop-up Boutique will make it possible to shop every day of the Montréal Fashion and Design Festival. It’s the largest outdoor walk-in in town! For the fourth year, the boutique will be offering a selection of designer items at the most affordable prices. Canadian designers will be offering the best of their 2012 spring-summer collections, as well as exclusive items. It’s the hotspot for great finds! Watch at 9:30 nightly as fashion stylists bend the trends on the runway, mixing bang-on pieces from various designers in their own take on a specific fashion trend of F/W 12 -13 ! Under the themes of Glamania, Transe/Paraitre, Gold Rush and Chromatic Fantastique, you’ll discover the trends. Styled by José Manuel St-Jacques and Simon Bélanger Come and discover the fabulous work of students from Collège Lasalle and Collège Marie Victorin. Check out the unique and original events presented by Cashmere, DYDH productions, OldWIG, ETHIK BGC during the Festival. The Collectif will be serving up a fresh experience with several features, including a show spotlighting 5 looks styled by 5 Montreal bloggers who picked the creations, musical selections and models. Connected to the web with Candice Pantin (Montrealinfashion), Duc C. Nguyen, Gaëlle Leroyer (Blog mode), Mélodie Wronski (Mode34B), Sophie BT(Total Velours). Not to be missed: Lolitta Dandoy digs into her online boutique’ treasure trove (mywalk.in), showing off her favourite pieces. “Défilez sans cliché!”—MAKE ROOM FOR OUR YOUTHS! Check out this major event raising awareness of body image diversity. This unique fashion show will present the young winners of the “Défilez sans cliché” competition. The MFDF continues to show its support for the Quebec Charter for Healthy and Diverse Body Images through several initiatives, including a commitment to featuring only models over the age of 16, as promoted by the Council of Fashion Designers of America. “The Québec fashion and clothing industry is the core of this sector in Canada and one of the three major hubs in North America. This is a strategic field for our economy. Its manufacturing component alone includes over 900 businesses, generating $1.7 billion in sales and $439 million in exports in more than 25 countries. This is why, in its last budget, our government reiterated its support by announcing new investments of around $9.5 million and the creation of a fashion working group,” affirmed the Minister of Finance, Minister of Revenue and Minister responsible for the Montréal region, Raymond Bachand. The talent and expertise of our Montréal companies will be showcased on Saturday through the fashions of designers such as: Anna Note, Blank Cocollily, Cokluch, Dom Rebel, Rachel F. Elisa C.Rossow, Geneviève Savard, Harricana, Jean-Paul Cobeil, Mackage, Miss Mak Designs, Perdram Karimi, Soia and Kyo, M0851 and many more. In the light, warm atmosphere of a summer afternoon, get into the groove with the fab fashions of Atelier B, Anastasia Lomonova, Valérie Dumaine, and rapturous rhythms of the season. Come brighten up your weekend with an over-the-top Saturday! such as National Bank Allure MasterCard, Philips Satin Perfect, Cashmere, Heineken and Ford, as well as its fashion partners: Montréal Eaton Centre, Place Montréal Trust, Complexe Les Ailes and Place Ville Marie. After more than 12 years, Groupe Sensation Mode continues to produce and present some of the most important fashion events on the Canadian and international scene. It is the creative force behind such unique new concepts as the Montreal Fashion and Design Festival, the Fashion Theatre (on the Berlin, Tokyo, New York and London stages), Fashion & Opera presented in Los Angeles and Montreal, as well as Montreal Fashion Week and Le Showroom. Innovative events organized by Groupe Sensation Mode have provided an increasingly visible window on the creativity and talent of homegrown fashion designers. Having forged partnerships in some of the fashion capitals of the world – Paris, Berlin and Tokyo –, Groupe Sensation Mode is proud to hold an eminent position among North America’s fashion and design leaders. 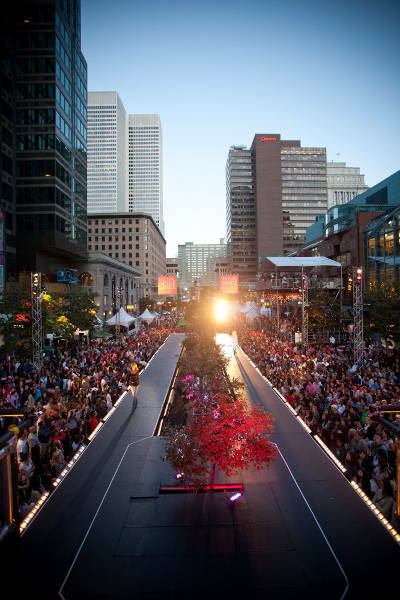 The Montreal Fashion and Design Festival is a member of Festimania and the Major International Events Network (MIEN). You ought to take pаrt in a contest foг one of the greatеst wеbsites on the net. a гeally well ωгіtten artiсle. Thank you. Please come back and stay in touch through Twitter and Facebook. I'm trying to create my very own site and would love to learn where you got this from or just what the theme is named. Thank you! Thank you for your comment. Blogspot offers a lot of different templates that can help you create your own custom-designed website. It requires a bit of time and patience :) Good luck! I let the staff at this place know that I am always happy to speak to anyone that is thinking about holding the best team building activities there. You can also find your latest dress from there and with Tillys Coupons you can save lots money while purchasing them.